Esports is one of the largest growing media industries in the modern economy. The Australian Esports Federation (AEF) is one of this nation's most recognised esports brands. We are currently looking for a female media personality to host our on-going online shows and live events. As a media personality, you will need to constantly engage with fans and provide entertainment value for the show or event. 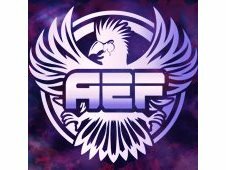 The AEF broadcasts 3-4 times per week online and up to 4 live events each year, so there is an excellent opportunity to show case your talents to world. We are looking for a personality (graduate) who is looking to build their media personality and who wants to be in the spotlight. Above all else, the person we're looking for needs to be an entertainer and can show case that skill to us during our recruiting process. You will receive on the job training on the relevant games, so no prior gaming experience is required. However, we would strongly prefer someone who likes gaming, as this is a full-time role that heavily involves games. If you have a social media following such as Twitter, Instagram, etc, please provide us the link so we can check it out. Women are strongly encouraged to apply. This will be a full-time role with ongoing streams and events all year round. We are looking for a young and enthusiastic media personality to be an entertainer to our viewers. Must have good energy and can talk well to create interest.